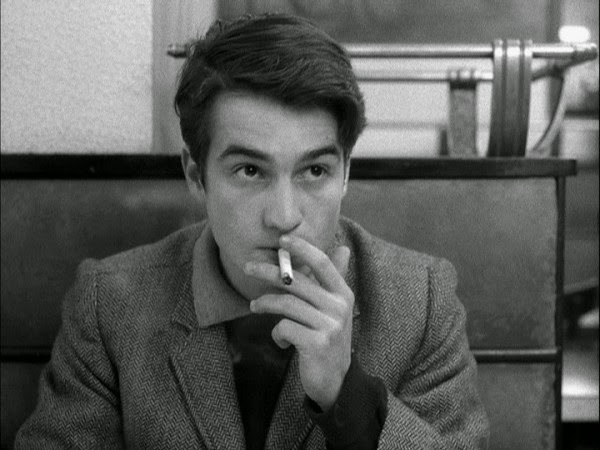 There’s a certain boyish falsity within the acting of Jean-Pierre Léaud. His most famous role in The 400 Blows used that persona effectively to make everyone think that Antoine Doinel was a trouble maker. He wasn’t that bad, but Léaud conveyed an aura of mistrust with his mannerisms. Only seven years later, he’d grown into a young man but hadn’t lost the sense that his characters are trying to be something that they’re not. 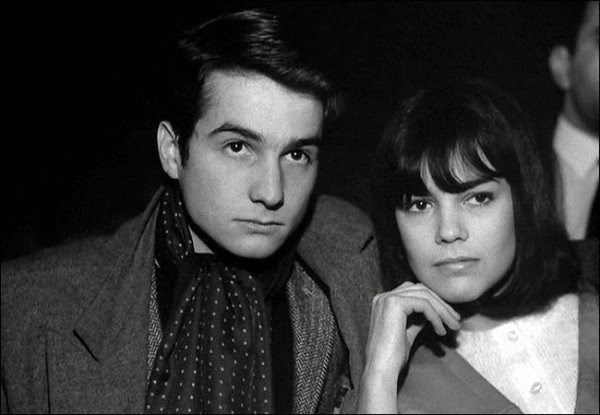 In Jean-Luc Godard’s Masculin Féminin, Paul isn’t a bad guy yet is trying too hard to prove that he’s cool. This causes the women that he meets to keep him at a distance, even when they’re romantically involved. Paul’s trying so hard to draw Madeline’s (Chantal Goya) love, and she has feelings for him. Even so, there’s little time for a rising pop singer to worry about a clingy boyfriend. Léaud’s style perfectly captures that sense of desperation from a guy who feels lucky yet is constantly worried that his attractive girlfriend wants to kick him out the door. Paul has just returned from military service and isn’t feeling so enamored with the current political system. His revolutionary goals spring from a positive space, yet he has few ideas of what to do. Spray painting messages on police cars doesn’t get you very far. He’s annoyed that the people he meets don’t care about politics and strife around the world. Most are just trying to live their lives, and his anger makes sense. However, he isn’t doing much more with his antics than people who do nothing. 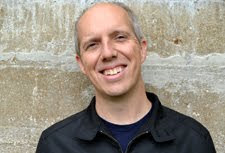 Paul records interviews with other young people and asks them an odd collection of questions about their lives and world views. Some are frank about sexuality, while others are designed to prove the subjects know little about the world. His points are clear, but what is Paul doing with this information? He’s still a really young guy who wants to change the world, yet he may need to look in the mirror first. What’s interesting is that you could treat Paul’s attempts to buck the system on the same playing field as the devices that Godard uses to subvert the movie formula. The climactic moment happens off screen, and we only hear about it from some associates. Godard adds a series of text interludes supported by gun shots in the background. They’re presented at a rapid pace and feel designed to energize us and showcase Godard’s willingness to do anything on screen. An early scene presents a couple arguing in front of their child in a café while Paul sits nearby. The woman pulls out a gun and shoots the guy dead, and that’s the end of their moment. We never hear about their story again, and Godard moves on to the next moment. Later, a crazed patron at a bar threatens Paul with a knife and ends up stabbing himself inexplicably. Both moments draw a laugh and keep us guessing, but they’re mostly just to enhance the feeling that we’re far removed from the typical movie world. No matter how well it works, it leaves an impression. This story focuses on '60s French youth and gives more insight than you might expect from Godard. Paul’s lengthy conversation with Catherine (Catherine-Isabell Duport) while waiting for Madeleine delves into their views without getting too on the nose. It’s clear that she digs his impetuous nature and doesn’t look down on him like Madeline, but Catherine has her own pride. He’s oblivious to her interest, and that seems to attract her more. They spend as much time together as Paul and Madeline, who’s off jump-starting her singing career. If he took a moment and considered who gave a damn about his life, Catherine would stand out as the obvious choice. On the other hand, it’s hard to expect much introspective thinking from such a young guy. He’s moving at a rapid pace and wants to do something grand yet keeps tripping over his own feet at every turn. What makes Masculin Féminin work is the way that Godard allows the film to meander. Despite his manic behavior, Paul remains sort of likable as the guy among a group of very different young women. Elisabeth (Marlène Jobert) aptly points out that he doesn’t fit with them, but that’s mostly just true of Madeline. When a music journalist interviews her for the radio, she’s uncomfortable about even being near Paul. The same is true in the recording studio, where he acts like a doting parent. That’s hardly the right way to woo a girl with her sights in the clouds. Singer Chantal Goya had virtually no film experience at the time, and she’s a bit awkward on screen. However, that uncertainty works for her character. Despite the side trips from Godard, the depictions of French youth feel more authentic. He retains his freewheeling approach yet finds some truth within the chaos. This is probably my favorite Godard, and at times I've called it my favorite film ever. Truthfully, that's more to do with it's aesthetic impact than sociological insights. I just love the mixture of slow-boiling long takes with unexpected lightning-fast cuts, burning didacticism with yearning romanticism, ambiguous and lingering close-ups with declarative and rapid-fire textual interludes. It's also a fascinating mixture of fiction and documentary (for me, far more arresting than 2 or 3 Things I Know About Her) - the questions Paul asks where fed to him by Godard through an earpiece, and the subjects' answers are usually the actors' own. All in all this movie is all about tensions and juxtapositions, so I have to love it - after all, it's called "Masculin Feminin" and at one point subtitled "the children of Marx and Coca-Cola," for Pete's sake! I also love the scene in the movie theater, equating cinephilia with both desire and disappointment. If it's the form that attracts me, I find more and more in the content as well each time I watch it. It just has so much to offer. Joel, it's cool that you're such a fan. I also really enjoyed it and found the style to be very effective. The movie theater scene is one of the best, and there's far too much for me to even mention in a fairly brief piece. It's interesting that Godard was really the one asking the questions, and it did feel like most of the responses were improvised. They felt too natural to be scripted, especially given what I know about Godard.